We are delighted to report that Mike Davies, Professor of Signal and Image Processing, has been awarded a prestigious ERC Advanced Grant. 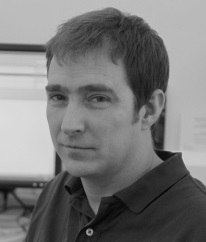 Mike's grant award, "C-SENSE: Exploiting low dimensional signal models in sensing, computation and signal processing", is one of only 69 awarded to senior research leaders in the UK. The European Research Council (ERC) has announced today the awarding of its prestigious Advanced Grants to 277 senior researchers. The funding, worth in total €647 million, will enable them to pursue their most promising ideas and carry out frontier research with potentially ground-breaking impact on science and society beyond. The grants are awarded under the 'excellent science' pillar of Horizon 2020, the EU's research and innovation programme. "Through EU funding, the European Research Council is enabling the best minds in the world to create a better future for us all. These talented researchers are an integral part of what keeps us globally competitive. Their work will lead to new knowledge, it will fuel innovation and it can bring about market-creating innovation ? generating employment opportunities and economic growth for Europe. Most importantly, the ideas developed by ERC grantees can lead to better, healthier, more innovative societies, if we engage Europeans in realising their potential." "It is inspiring to see both the quality and ambition of the projects submitted by the distinguished researchers to whom these grants have been awarded. The ERC was given the task to support cutting-edge and risky research to allow scientists to push the frontiers of knowledge. I look forward to seeing what breakthroughs and major advances will come out of these projects whose main driver was scientific curiosity." For example, a German grantee will take on the challenge of genetically endowing magnetism to living organisms, opening new opportunities in medicine. A scientist in Slovenia will carry out a pioneering study of quantum particles with potential applications in superconductivity and quantum information systems. A researcher in Italy will study the aspirations of disadvantaged people in the context of anti-poverty policies. (See more examples). ERC grants are awarded to researchers of any nationality based in, or willing to move to, Europe. In this competition, researchers of 29 different nationalities received the funding, with British (47) and Germans (47) on par, followed by Italians (26), French (25) and Dutch (20). The new ERC projects will be hosted in 21 countries across Europe, with the United Kingdom (69 grants), Germany (43) and France (30) as top locations. In this competition the ERC received 1,953 grant applications - more than 14 per cent of which were successful. (See statistics). For well-established top researchers of any nationality or age, scientifically independent and with a recent high-level research track-record and profile which identifies them as leaders in their respective field(s). Based on a simple approach: 1 researcher with his/her team, 1 host institution, 1 project, 1 selection criterion: scientific quality aiming for excellence. Host institution should be based in the European Research Area. This can be the institution where the researcher is already working or a new one. The Host institution can be changed in the course of the project if the researcher so wishes ("portability of the grant"). Funding: up to €2.5 million per grant (that can exceptionally be increased to €3.5 million, in case of purchase of major equipment, mobility from another continent, etc.). The European Research Council, set up by the European Union in 2007, is the first European funding organisation for excellent frontier research. It runs three core grant schemes: Starting, Consolidator and Advanced. Every year, it selects and funds the very best, creative researchers of any nationality and age, to run projects based in Europe. The ERC also strives to attract top researchers from anywhere in the world to come to Europe. To date, the ERC has funded some 6,000 top researchers at various stages of their careers. The ERC is led by an independent governing body, the Scientific Council, and, since January 2014, the ERC President is Professor Jean-Pierre Bourguignon. The ERC has a budget of over €13 billion for years 2014 to 2020 and is part of the EU research and innovation programme, Horizon 2020, for which European Commissioner for Research, Innovation and Science Carlos Moedas is responsible.